It is an inspiring memoir of Afghan young lady who loves her country and people and goes to an unimaginable length to help both. In her memoir, Joya attempts to change the stereotypical image of Afghan as terrorist, and backward people. While she sketches her biography, Joya describes the real nature of the Afghans, and describes their misery, struggle, and mostly their love for education and freedom. In this book, Joya gives an account of her life since she was a kid, and after she was thrown out of the parliament because she stood up for her people in the face of the warlords and American and Russian puppets. She also describes how she strives to help women and children to receive education and teach them to stand up for their rights. Joya is truly a very strong and independent young lady. She refuses to be silenced although she has the opportunity to participate in that corrupt government and steal money as everyone else was doing. But she has never been interested in money, fame and power. She is rather interested in her country and people and all she dreams of is to wipe the corruption out of her country and see her people enjoying freedom. This is what I liked most about Joya and her memoir. Unlike other so-called activists, Joya did not leave her country despite the assassination threats she receives. She is ready to die for the sake of her people. In her memoir, she exposes the corruption of both the Afghan warlords, the NATO and US troops. She explains how all those among many other corrupted officials enhanced poverty, oppression and illiteracy in her country. 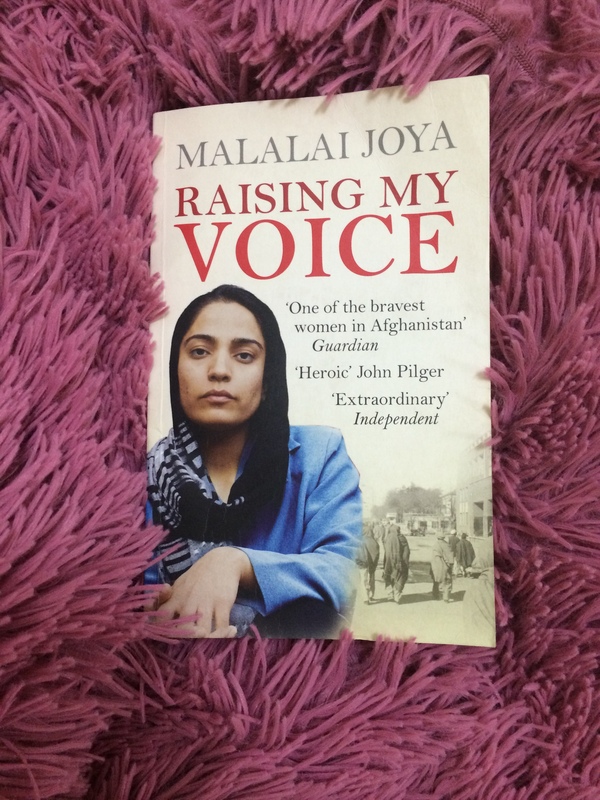 At the end of her book, Joya lists some of the way through which people around the world could help Afghans. I read years ago Khalid Hosseini’s novel “A Thousand Splendid Sun” which talks about the suffering of Afghan women, and this book helps me to realize more that their suffering is real and more than Hosseini has actually managed to present in his novel. This book sheds light on the real life of Afghans and their long suffering. It also offers the reader insights into Afghans’ struggle to achieve freedom.